Enjoy your favourite rounds, including And The Winner Is, Pick of the Polls, and Poll with a Hole. Can you guess what accent is considered the most annoying? Or name the top ten things people daydream about? 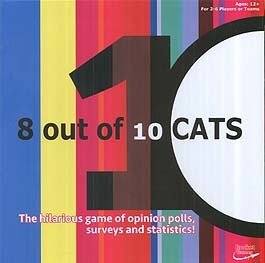 A fascinating, fun and fast-moving game for all the family.